Betfair pioneered the first successful online betting exchange in 2000 enabling punters to bet against each other by backing or laying outcomes at prices they determine. Within a year they merged with rival betting exchange Flutter.com while developing the concept of live in-play betting and already the Betfair Group was quickly expanding. By 2005 they had gained a license to operate in Australia. A year later they purchased Timeform, the worlds most trusted provider of racehorse ratings. In 2007 they launched their own radio service broadcasting live racing via their website. And in 2009 they acquired the largest legal wagering operation in the U.S, the TVG Network, whose racing channel is watched in over 35 million homes. The company floated on the London Stock Exchange in 2010 becoming Europe’s largest .com IPO. Then moving into the recreational betting market they launched a traditional Sportsbook in 2013 offering fixed odds plus a competitive range of gambling products. Today they employ around 2000 staff and their betting exchange networks nearly 2 million punters while processing over 1.2 billion bets per year at a trading value of £56 billion. Their website and betting Apps are first-class, they offer fantastic odds and from a punters perspective they are incredibly hard to beat. Whether you take your betting seriously or just enjoy having a small punt on the weekend, i definitely recommend having a Betfair account. The Betting Exchange ~ The Betfair exchange is one of the few places where Aussie punters can bet against a certain result. And because it has the highest liquidity of any online betting exchange you will often find exceptional odds whether your looking place back or lay an outcome. 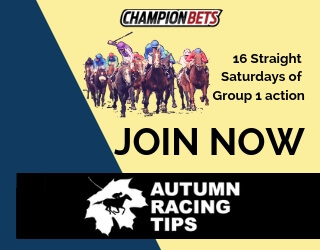 All punters welcome ~ All punters are welcome to place bets on the Exchange, infact the more money being wagered the greater the benefits for everyone involved. Ability to Cash Out ~ Betfairs Cash Out facility allows punters to settle their bets early at either a profit or a loss depending on how their bet is progressing. 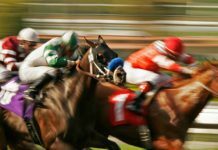 Best Of Five ~ This racing product pays out the highest Win dividend from either the three major totes, the bookmakers starting price or the Betfair starting price. Unbeatable Odds ~ Due to other punters betting moves the exchange will often throw up massive overs on certain runners, players, teams and results. Correct score and first tryscorer/goalscorer markets are a prime example. Website Features ~ The Betfair website boasts some very attractive and useful features including live streaming, in-depth form guides, the Betfair community, expert analysis and tips, Timeform ratings, advanced betting tools and more. Liquidity of certain markets ~ Despite being the worlds largest betting exchange there will always be some events that attract little interest, and this usually has a negative affect across market odds in these events. Fees And Charges ~ Your Betfair account may attract a number of fees and charges including; Transaction fees for deposits and withdrawals, inactive account fees and turnover or premium charges for heavy users. All of theses fees are explained in detail on the website. Racing Multi-bets ~ Multi-bets are not available on all race meetings. Confusing for Beginners ~ The exchange platform is quite different from betting with a tote or traditional sportsbook and inexperienced punters may find it confusing. However, if you should you need any help there are a number of video tutorials available on the website. AFL Multi- King ~ Land the biggest AFL multi-bet each round and win up to $1,000. Plus the overall winner will have a chance to celebrate with a great Grand Final day package. Refer & Earn ~ Refer a new customer and get a bonus $100 added to you account. 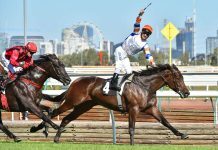 QuaddieLicious ~ Win 50% more on Saturday Quaddie bets, up to $200 (this promotion is regularly available on Saturday Metropolitan Thoroughbred meetings). Best Of 5 ~ Pays out the highest Win dividend from either the three major totes, the bookmakers starting price or the Betfair starting price. Bonus Funds Requirements ~ You must turn over any bonus funds at least once at odds of $1.30 or higher prior to withdrawing. Betting Exchange ~ The exchange has a number of advantages. Odds are extremely competitive, especially on roughies and certain markets like Correct Score and First Tryscorer/Goalscorer. Plus with lay betting you can hedge your bets. 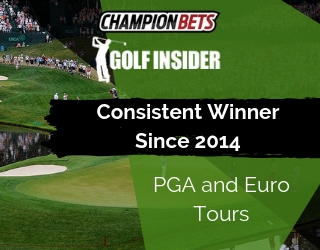 Best of 4 (Bo4) ~ Pays the highest Win Dividend declared by either the 3 major TAB’s or the official Bookmakers Starting Price. 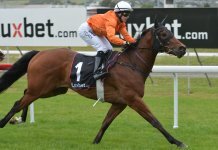 Top Fluc Win (TF) ~ Pays the official Best On Course Bookmakers fluctuation as transmitted by the Australian Prices Network. Top Fluc Place (TF) ~ Pays the best Place Dividend declared by the 3 major TAB’s. Betfair Community ~ A meeting place for thousands of punters from all over the world. The Betfair community consists of forums, polls, competitions, tips, news, views, a live Twitter feed plus heaps more. 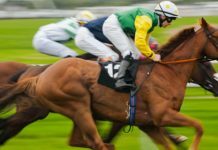 Betting.Betfair ~ This unique area of the website consists of sections where you will find latest news and tips for both racing and sport. It also has exclusive videos from leading horse trainers and expert form analysts. 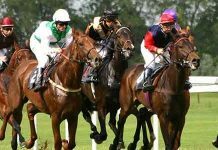 Betfair Live Video ~ This is a live streaming facility that plays racing and sport from all over the world free of charge for Betfair members, with the exception of horse racing (To watch live racing from Great Britain, Ireland, UAE, USA or South Africa you must have a funded account and have a bet on that race). A TV guide is available on the website. Despite boasting a huge range of capabilities the Betfair website remains quite user friendly and easy to navigate. Both the racing and sport betting sections can be viewed in either “Bookmaker” or “Exchange” mode, the first enables wagering across Betfairs’ sportsbook products like fixed odds, specialized tote products and exotic betting options. While Exchange mode essentially acts as a meeting ground for punters from all over the world allowing punters to back and lay outcomes against each other. The site has comprehensive form guides, track maps, ratings from Timeform, very handy betting tools and you can watch live racing and sport via Betfair TV. The Cash Out feature is great and easy to access. There are quick links to all the next scheduled events. And the Betfair community is choc-full of forums, news, tips, competitions and more. A live-chat facility is available should you need any help plus there are plenty of online tutorials to assist members in getting the best possible experience out of the site. The Betfair betting Application has a fairly basic layout with nowhere near the same capabilities of the main site, however, this App has been designed with simplicity in mind and it doesn’t need a lot fancy features. The main page consists of only a few essential buttons and a menu bar for your wider options. Its fast, reliable and practical, plus being built for betting on the move it has a large display which is easy to navigate. Overall Betfair have done a great job with this simple yet highly functional mobile betting solution. Minimum Bet ~ $5.00 on the exchange – $1 with the sportsbook – $50.00 via phone. Maximum Payout ~ Max payouts on the exchange are only limited by the level of market activity, and max sportsbook payouts are very good also. Live Betting ~ Yes, But due to Australian laws you must phone 132BET to place a live bet. Mobile Betting ~ Yes, available on Android, iOS and Blackberry devices. Live Chat ~ Yes, 9am-5pm, 7 days a week.